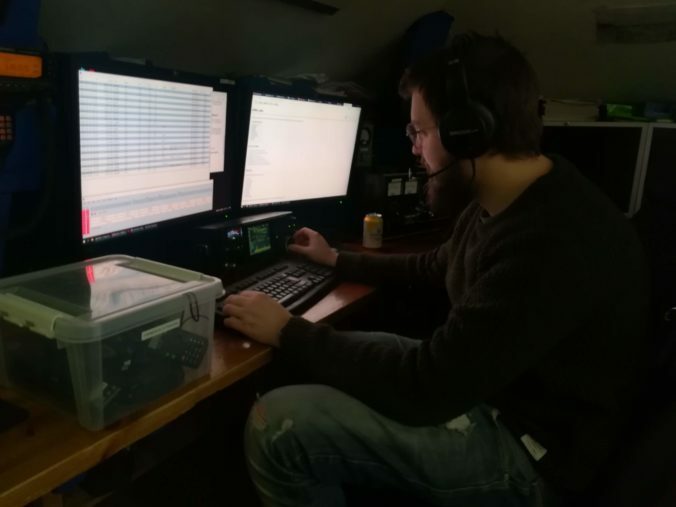 Newly licensed Joakim (LB5MI) working the CQ WPX SSB contest. This weekend we participated briefly in the SSB portion of the CQ WPX contest as LN1K. Other events at Samfundet prevented us from making a significant entry, but nevertheless we got to work a number of contacts, and had a lot of fun. Most importantly, our newly licensed members got a chance to work QSOs in their first major contest. Norwegian club-stations may use the LN-prefix in select contests. This can be beneficial in contests where unique prefixes give bonuses when worked. Rarer prefixes mean more incentive for the DX station to work you – increasing the total score. Details on use of the LN-prefix can be found at contesting.no (Norwegian article). Our claimed score ended at 218,953, with 276 QSOs and 217 different worked prefixes. The log will be uploaded to LotW within the week.